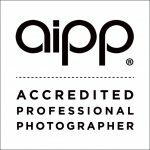 The AIPP continually monitors its accreditation requirements to ensure that the standard for accredited membership is appropriate for the profession of photography in 2015 and beyond. In 2013, was my proudest moment. I was awarded the 2013 Canon AIPP AUSTRALIAN Family Photographer of the Year. It was a big year for me, as I also won the 2013 Epson AIPP ACT Family Photographer of the Year. In 2014, I was runner-up 2014 Epson AIPP ACT Family Photographer of the Year. In 2014, I proudly received the honour, “Master Photographer” awarded by the AIPP in recognition of my creative achievements at a national level. As an accredited member of the Australian Institute of Professional Photography (AIPP), I am bound by the AIPP code of ethics. This requires professional practice in all facets of the business.